At Linkyvet, we understand the daily job of a veterinary surgeon, the challenges of the profession, the expectations and the behavior of your customers. That’s why, with the collaboration of general practitioners as well as canine, rural and equine specialists, we have conceived and developed two simple and practical tools. Our relevant and complementary solutions provide pertinent and efficient support for your profession. Through veterinary video-consultations you will improve your medical diagnosis, as well as preventative and follow-up treatment, wherever your client is located and whenever convenient. A professional solution which will consolidate your expertise, retain customer loyalty and simplify your organization. 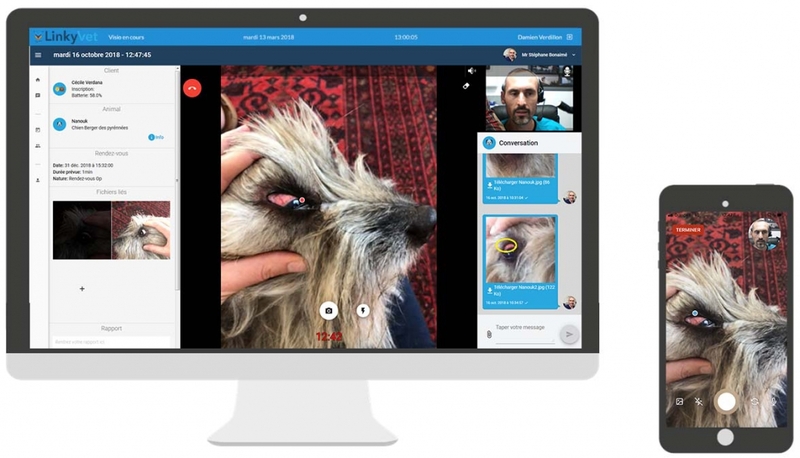 Develop your clinic’s activity with Linkyvet ! 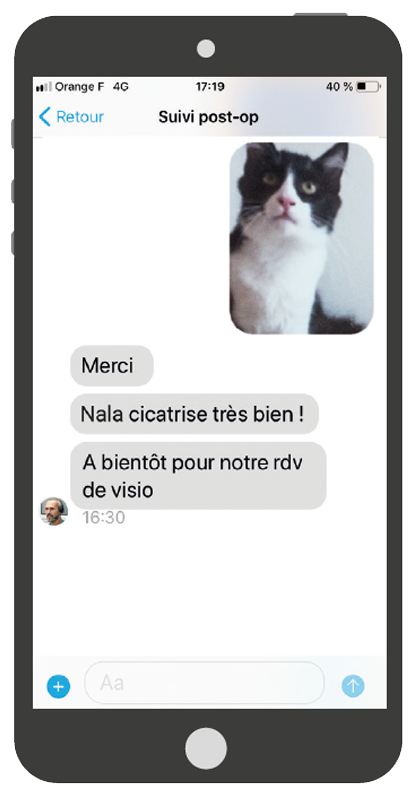 Using the veterinary chat you can share text, photos, videos and recordings with your clients. An expert and secure solution to make your interactions and advice-giving easier, improve follow-up and in specific cases, support a diagnostic. A professional tool to reassure and retain customers.